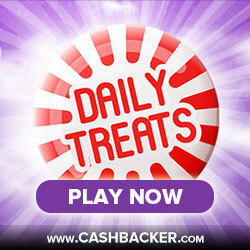 Make every day count with Bgo Bingo’s Daily Treats! Bingo fanatic or not, playing the same old games can sometimes get a little dull. Bgo Bingo's Daily Treats include some of the craziest alternative bingo games on the web. Read on to find out more..
Every day, from miserable Monday to lazy-day Sunday, Bgo Bingo has developed an agenda of fantastic bingo games to keep you well and truly entertained. Whether you’re looking for a quirky game of Reverse Bingo, to get involved with a little Fair & Square Bingo, or would like to experience the thrills of Roll on Bingo, Bgo has lined up a brilliant range of games to keep you entertained throughout the week. If you haven't played at Bgo Bingo before, then check out our Bgo Bingo review - register today and spend £10 to play with £50!